Critics have always questioned just how effective the Dr. Phil show’s method of public shaming and exploitation is at actually helping people, but a new report from medical-news site Stat suggests that it’s actually been pretty damn effective at actively hurting people. 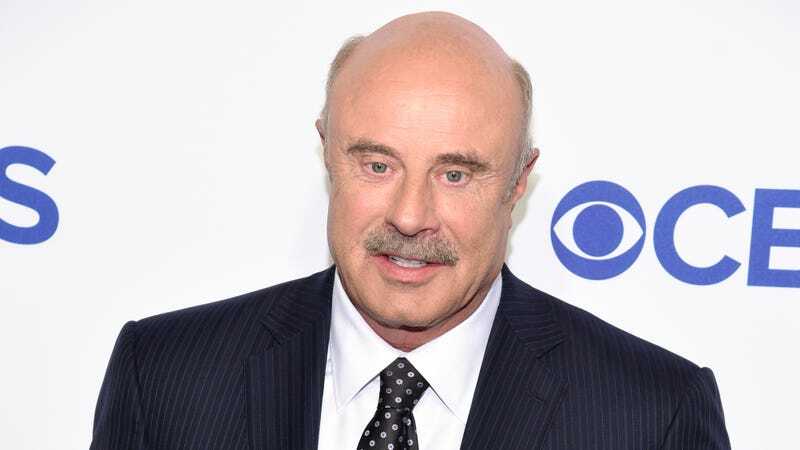 According to the story, the staff of Dr. Phil supposedly has a habit of forcing guests to be sequestered in hotel rooms for up to 48 hours as they wait for their episodes to tape, putting them through a “dangerous detox” that leads some to try and seek out drug dealers on the streets of Los Angeles—with at least one former guest accusing the show’s staff of even helping her get drugs. Stat’s report also tells the story of Todd Herzog, a former Survivor winner who later made a dramatic, drunken appearance on Dr. Phil. He says he had been sober for two days after the show put him up in a hotel room, but when he got to his dressing room he found a full bottle of vodka. He drank the whole thing, and later took a Xanax that was given to him by someone associated with the show. On top of that, a medical professional from the center that Herzog agreed to go to on the show couldn’t do anything at the taping because his staff is only licensed in Texas, not California, essentially meaning that Dr. Phil brought him to the show just to watch a man endanger himself. The show’s supposed disregard for medical supervision is the larger issue of Stat’s exposé, with the former guests accusing the show of doing basically nothing while people who need help have to fend for themselves. Plus, a lot of the medical facilities associated with the show are closely tied with host Phil McGraw himself. Representatives from Dr. Phil mostly dismissed these concerns when questioned by Stat, saying that they’re making a TV show and can’t be responsible for constantly monitoring addicts—especially since, as they judgmentally note a few times, addicts tend to do whatever they can to get the thing they’re addicted to. The Dr. Phil staff has also since denied the whole Stat report, saying that it “does not fairly or accurately” describe the show’s methods and that nobody working on the show ever gave Herzog alcohol or encouraged guests to seek out illegal drugs.